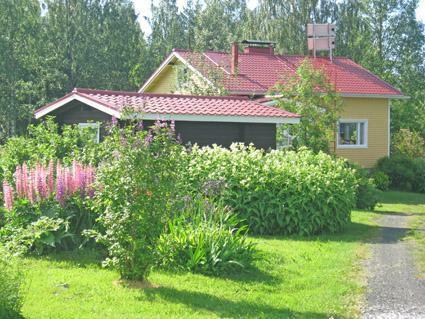 Spacious holiday cabin Junttosenaho 1 is located about 150 m from Lake Matikanjärvi. Livingroom/kitchen, two bedrooms; one with sofa bed for 2, another with double bed and single bed, living room with two sofabeds, in addition 2-3 persons can stay in granary. Ligts by sunsolar panels and aggregate, heating with wood. Cold water pipe in kitchen (during winter water must be carried). 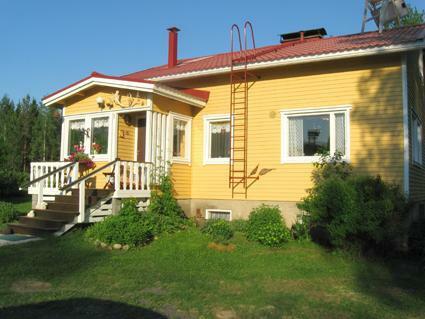 Spacious lakeside sauna, other sauna in the house accros the yard. 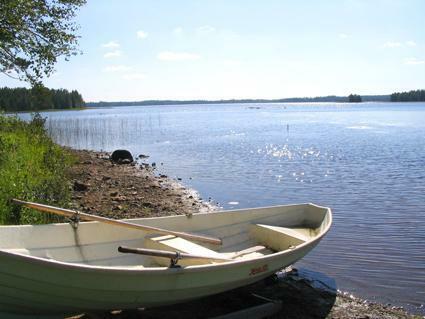 Saunas, grill hut, two rowingboats and dock are shared with cabin Junttosenaho 2. Shore is suitable for swimming. Garden furniture, swings. Sotkamo 21 km, Vuokatti 28 km, Laahtanen recreational fishing area 26 km (license area 5561 Laahtanen, www.eraluvat.fi). 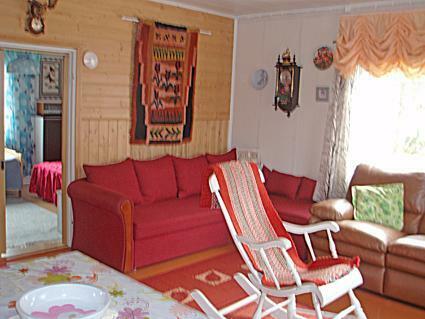 Nearest neighbor 50 m away (cabin Junttosenaho 2), no other houses nearby. Cottage Junttosenaho 2 is in the same courtyard and the venue is most suitable for big groups; families and hunters, when the venue is surrounded by states hunting grounds. Drinking water is not examined yearly, therefore boiling of the water before usage is recommended. Cabin will be pre-heated by the owner, if agreed in advance.